This is a bundle of Penned Rose stamp set and coordinating die set. 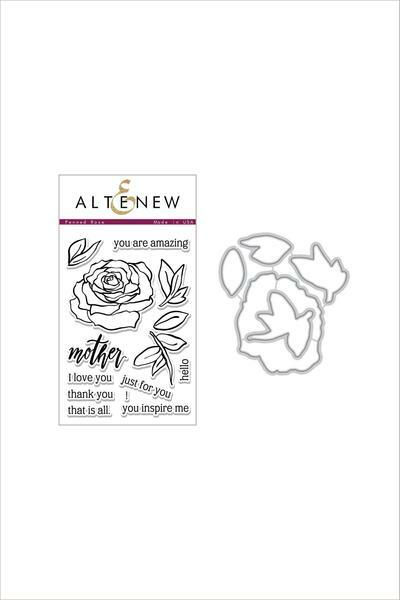 n nElegant, sophisticated and beautiful rose?stamp set with just a perfect amount of lovely sentiments! Use the rose images alone to create various floral cards, or mix and match with sentiments to create wonderful Mother's day and birthday cards!